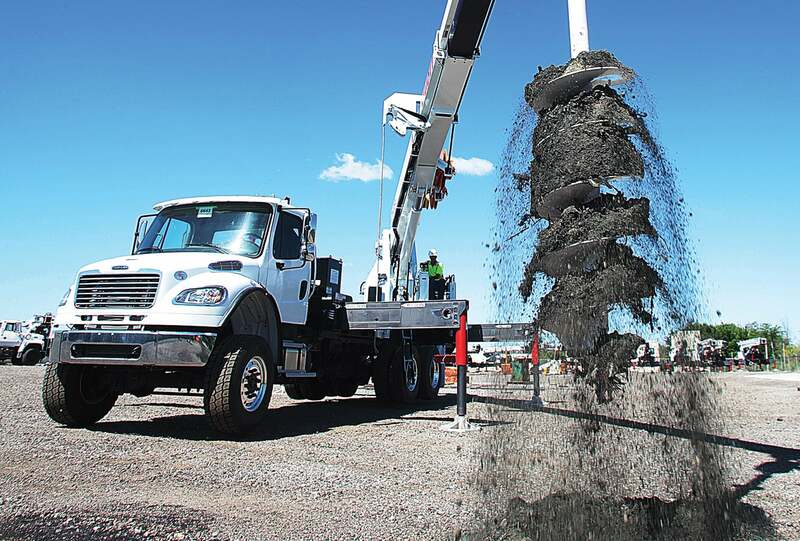 Elliott’s Digger Derrick line is specifically engineered for transmission and heavy-duty construction projects. Built to work hard, day after day, year after year, the digger line boasts Elliott’s high boom pinpoint geometry allowing for maximum power out of the hole, as well as features offering ergonomic seating and a variable displacement piston pump. 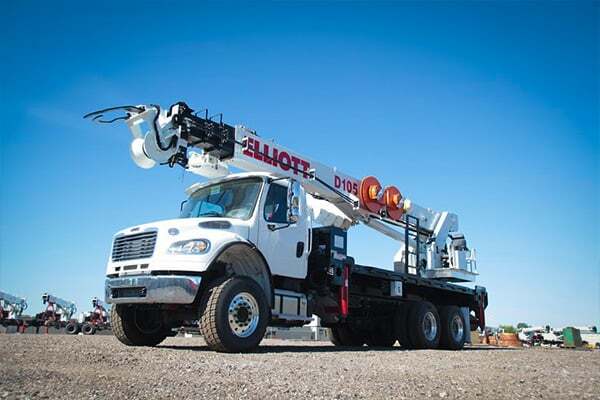 Mounted on tandem and tridem chassis, Elliott’s new digger derricks boast 20,000 foot/pounds of torque and up to a 44-foot digging radius. 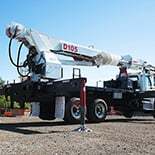 Each unit is equipped with Elliott’s high boom pinpoint geometry allowing for maximum power out of the hole, a variable displacement piston pump, and a new ergonomic seated control console. 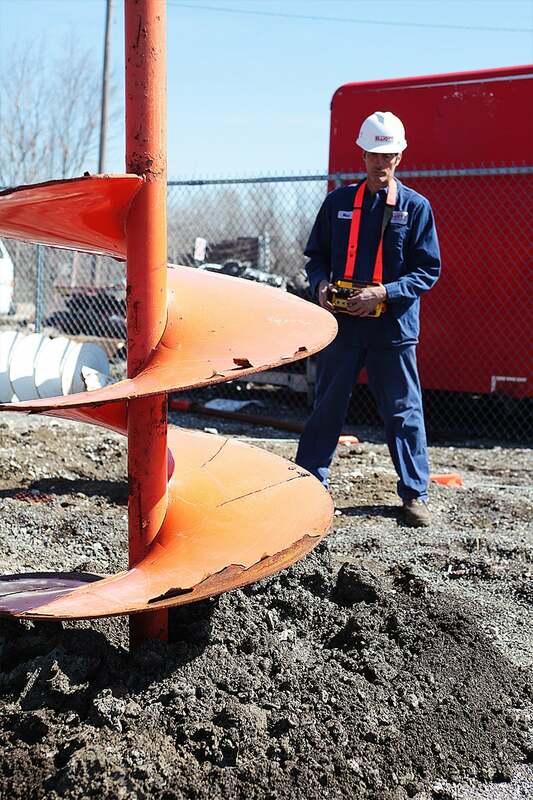 Why Choose an Elliott DIGGER DERRICK? For more than 65 years, Elliott Equipment Company has created best in class solutions for lifting and positioning people and materials. 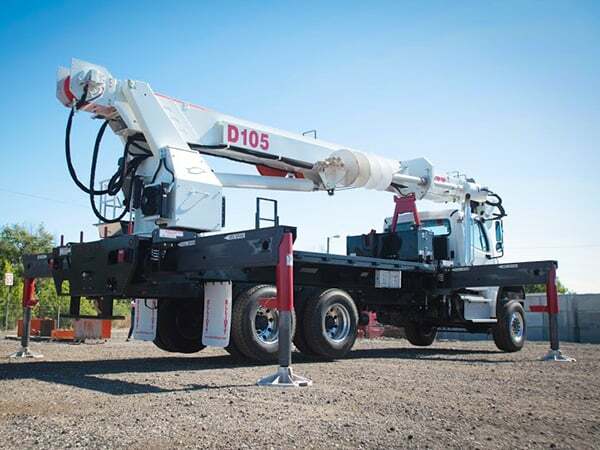 Elliott manufactures over 50 models of truck mounted cranes and aerial work platforms with dozens of custom features and options. Headquartered in Omaha, Nebraska, Elliott manufactures equipment built to increase safety, productivity and stand the test of time. 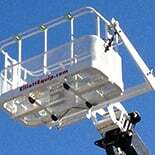 Safely work where space is a concern using Elliott’s rotation lockout system that permits operation with the outriggers extended on one side and retracted on the opposite side. Elliott’s unique two-stage outrigger cylinder option provides both high ground clearance and increased ground penetration for working off-road with less cribbing. 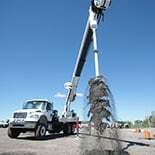 Add a 600 lb capacity 2-man platform with Elliott’s hydraulic yoke lifting system for easy attachment to the boom tip. Fully OSHA compliant and heavy duty. 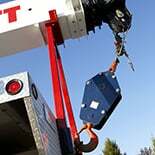 Elliott can add a 2-3 part hook block or a 4-part hook block to maximize your load chart to the full rated capacity. The blocks can be stored on the bed. 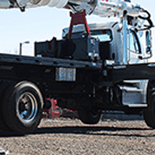 Let us work with you to customize your tool compatibility by adding hose reels or hydraulic circuits to the flatbed in a variety of locations to provide power at ground level. Custom tool boxes and bed storage solutions can accommodate a wide range of storage needs. 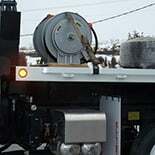 Available materials include steel, painted aluminum and aluminum treadplate. For work in colder climates, adding a hydraulic tank heater helps heat the oil quickly and allows you to start working quickly on the job site. 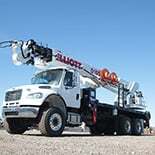 Interested in speaking with an Elliott representative about Digger Derricks?